Tornado chances for today. Hatched area indicates 10%+ chance of EF2 or greater. As of 12:00pm, environmental conditions are evolving about as expected. The warm front is moving north through the Memphis metro, bringing the unstable, warm, and muggy airmass into the region. North of the front, temperatures are in the 50s, while south of the front they are at or above 70 degrees already. Some breaks are observed in the clouds to the south of the front, which will allow high temperatures to reach the mid 70s with partial sun. A few spots south of the metro area could see highs in the upper 70s to near 80 with enough sun. With temps in the 70s and dewpoints in the 60s, the airmass will be unstable enough to support severe thunderstorms. The Storm Prediction Center has maintained the Moderate Risk of severe weather for the entire region and placed us in a 15% likelihood of a tornado within 25 miles of any point (see maps above). So, by mid-afternoon (after 3pm), expect scattered storms to begin forming and quickly become strong to severe with large hail, damaging wind, and isolated tornadoes possible. These scattered supercell thunderstorms will continue around the region through evening before a pre-frontal trough arrives during the late evening hours (between 8-11pm). The trough will bring with it more organized line segments or perhaps a full-blown squall line of thunderstorms, which are expected to be severe. Tornadoes are once again a concern, as well as straight-line wind, as wind at 3-5,000 feet will be blowing at 60-75 mph. The cold front will arrive in the 11pm-1am time frame and could bring a few more thunderstorms, though I don't expect them to be "as severe" as the earlier storms. MWN is now operating in "Severe Weather Mode." 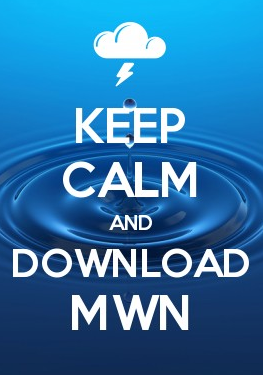 The MWN Storm Center has all the information you need as far as safety tips, watches/warnings, radar, and more. You should also keep an eye on StormView Radar as storms begin forming this afternoon. It is also advisable, especially if you follow MWN on social media channels, to read our policy on severe weather coverage (PDF). We'll bring your the latest information throughout today's event. MWN meteorologist Erik Proseus was interviewed by 600WREC's Tonya J. Powers this morning regarding severe weather safety. To listen to the interview, click here (MP3). Great job on the radio--and great information!